FRAMED PRINT. 22x18 inch (56x46cm) Framed Print with Black Satin with Off-White Digital Mat. Artwork depicting BORLEY PEOPLE - Investigators Harry Price and Molly Goldney, with the rev. L A Foyster, his wife Marianne Foyster and their two foster- children. Shipping from USA. Artwork Description... BORLEY PEOPLE - Investigators Harry Price and Molly Goldney, with the rev. 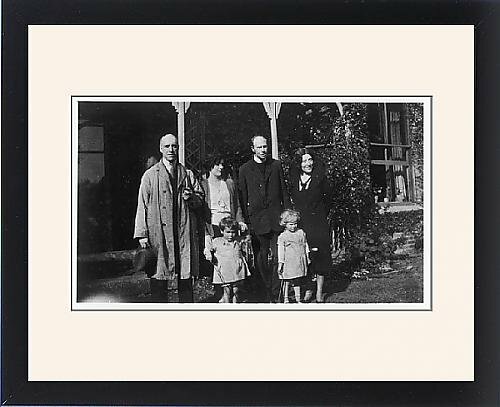 L A Foyster, his wife Marianne Foyster and their two foster- children.